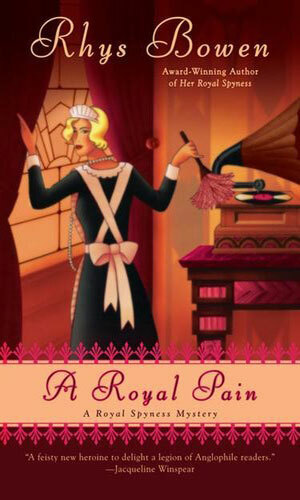 Lady Georgiana is a part-time agent for the British Secret Service. She is not a full-time operative because that is, well, just not a young woman of high society would do, of course, but then again one does what one must to survive in this world and besides, it is for the good of England and all that. Officially she is Victoria Georgiana Charlotte Eugenie Rannoch, 35th in line to the throne. She goes by the name Georgiana. Her grandfather was the first Duke of Glen Garry and Rannoch. Her father was the second Duke whose first wife, daughter of a mostly penniless earl, bore him a son and then died. Dad remarried but this time picked an actress (!!). That marriage survived only until young Georgiana was two but Mom's long list of subsequent suitors (a race car driver, a movie producer, an explorer, and an industrialist, to name four) gave the young girl a glimpse of life outside the dreary castle. Father partied most of his money away or gambled it into other people's pockets and when the crash of '29 took what was left, he took his own life. Georgiana was 19 at the time. She had hardly known her now departed Dad so she was not totally devastated by his loss. It really meant there was just one more bedroom available at Castle Rannoch in Perthshire, Scotland. The castle and estate were not hers, of course, having that older brother, named Hamish but called Binky, married to Hilda but called Fig, but it was home to her when she needed it which as time progressed was less and less. 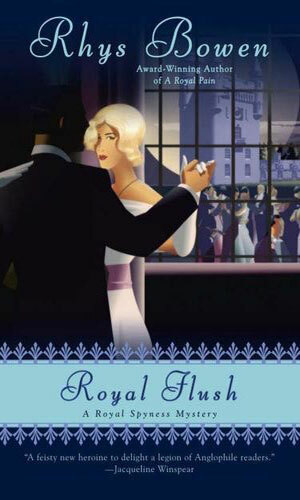 Being penniless and needing to work in 1932, hardly the best of days for a young woman "of breeding" to find employment, she does what she can and more than once that will mean lending a helping hand to the Government, or to the Throne which might be more prestigious but unfortunately seems to pay a whole lot less. More on this series as I get further into it. Lady Georgiana has fled Scotland and her pence-pinching brother but in London she rediscovers life is not easy. It is less so when she finds a dead Frenchman in her bathtub. After that things get strange. The Queen requests that Lady Georgiana play hostess to a visiting German princess but that visitor is not interested in the rigors of Castle Rannoch. She would prefer the men in the region. And spouting Communist slogans. 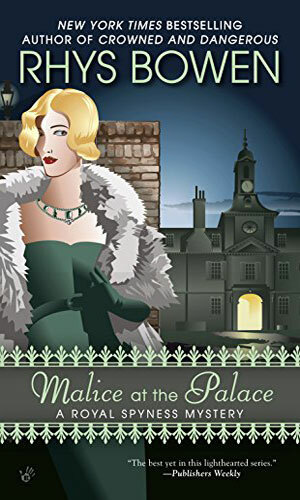 While the Queen would like Lady Georgiana to divert the interest of American Wallis Simpson from the Prince of Wales, Scotland Yard wants her to keep someone in the hunting party to not dispatch the Prince 'by accident'. This time the Queen requests that Lady Georgiana attend a royal wedding in Transylvania as her representative. Since the bride-to-be is Georgie's old school chum, she agrees. In the home of the legendary Dracula, what could possibly go wrong? 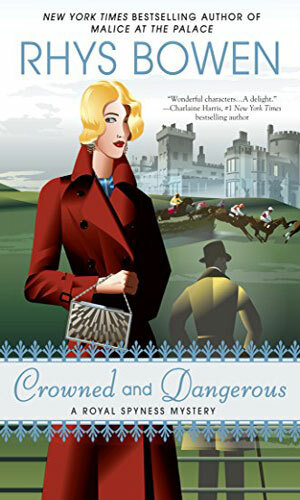 Lady Georgiana is thrilled to be asked by the Queen to head to the French Riviera to retrieve a stolen heirloom purloined by a shady knight. The fact that the item was a snuff-box is not as glamorous a fact. Nor is the dead body she comes across right after arriving. 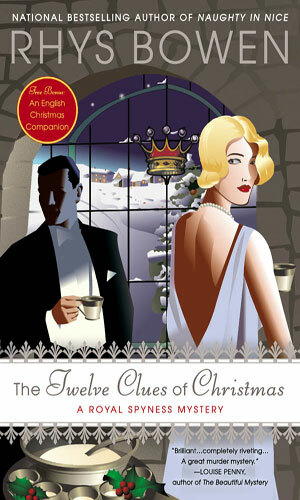 Needing to make a living, Lady Georgiana spies in the paper an ad looking for a person of "impeccable background" to be in charge of things at a country house in a small English village. She finds the townsfolk tend to be "accident-prone". The heir to the Duchy of Eynsford is a young Australian man who needs an education in how things are done in the British upper class. 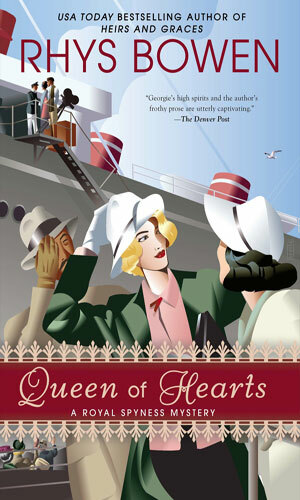 The Queen asks Lady Georgiana to head to Kent to be his tutor in such matter but wherever Georgie goes, so does murder. Lady Georgiana is heading across the Atlantic to the Colonies where her mother is planning on yet another marriage and a producer wants Georgie in his next picture and someone wants other people done away with. The Queen needs someone to entertain a possible future spouse of Prince George and she asks Lady Georgiana to handle the duties. This means keeping the young lady from learning of the Prince's party habits. And means solving a murder or two. Lady Georgiana's beau, Darcy, is taking her back to his ancestral home, Ireland, where he is planning on asking her to marry him. 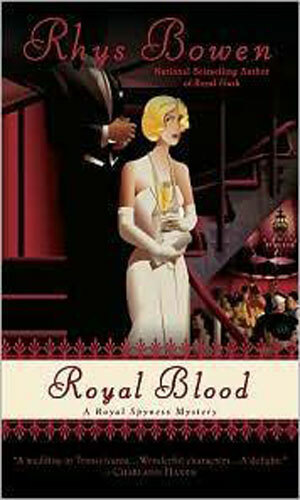 Being a broke as she, his birth castle has been purchased by a rich American. 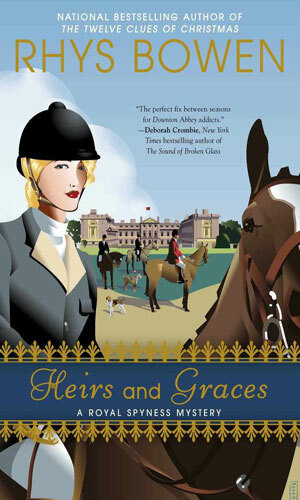 Worse, when the wealthy new landowner is murdered, Darcy's father is the prime suspect. 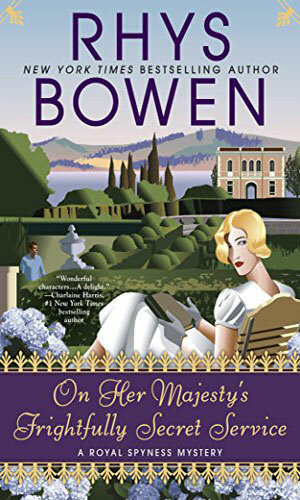 Lady Georgie would like to get to Italy to help her old friend who is near giving birth but with her husband off on an assignment and money tight, she is not sure how. Luckily, the Queen needs to attend a house party in that country to make sure an elopement by the Prince of Wales does not take place. 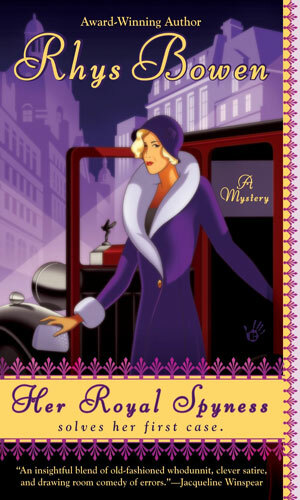 I like reading an occasional cozy mystery (I love watching them on television) and that is predominantly what the Lady Georgiana series is, with an occasional dab or two with cloak and dagger work. Wherever our Georgie goes, somebody dies and usually somebody she likes is the prime suspect. Comfortable plotting is a hallmark of a good cozy. But most important to that success is the main character with whom you invariably spend a lot of time. Lady G is a great character with which to while away the hours, especially late-night reading or when the weather outside is nasty. Her sense of humor, presented beautifully by the author, is terrific. She is by no means frivolous or silly but she does not take herself, or others, all that seriously. Pomposity is a favored target for her good-natured jabs. The adventures speed by and that is vital for a good cozy (well, any book actually) and when you finish one, you can look forward to the next one. The author has been kind enough to give us nearly a dozen as of this posting and I hope she will keep Lady G active for some time.